Jays catcher JP Arencibia's comments on Twitter regarding the boo'ing that ensued when Leafs forward Joffrey Lopel was shown on the big screen at the Skydome prompted one Write Fielder to take him to task over it. McGILLIGAN:Do fans have a right to boo hometown players? Unequivocally yes. Does it make it right? No it does not. Strader’s recent post about giving a hometown hero a chance for the comeback was correct. There’s always a reason to kick a guy when he’s down, but to cheer him when he struggles is something we fans should try and aspire to more. However, I do have a problem with how players react to certain booing situations. Let’s take the Joffrey Lupul example. The Toronto Maple Leafs forward comes out to a Jays game at SkyDome and subsequently gets booed by fans disgruntled with the Leafs inability to make the playoffs. While it wasn’t fair for the assembled masses to vent their frustration on Lupul, it wasn’t out of the ordinary. Booing is part of sports, always has been and will be. Toronto hockey fans have a right to be upset by their squad being the only one in the post-lockout era to not make the playoffs. Lupul was simply at the wrong place at the wrong time. However, he reacted well to the situation. A bit of humour and even a hashtag that is self-deprecating. I ended liking him after reading that and I’m a Habs fan. So the starting catcher just called the hometown fans bush league. What’s bush league is that statement. 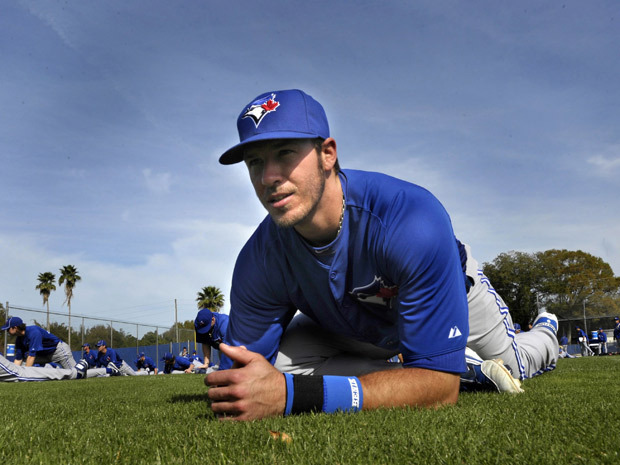 So people booed a professional athlete, it’s part of the game whether Arencibia likes it or not. The ball park, arena and football stadium are not places where people just politely clap. So unfortunately for Arencibia, the boos won’t be washed away or cleaned up as he would like it. I understand he was trying to defend a friend, it’s an admirable trait in a person. However, calling out the people who provide you the opportunity to play a game and get paid well for it is not. I should mention its the comment I have an issue with, I’m not trying to denigrate Arencibia, I know he does do a lot of charity work in the community which he should be commended for.